Our last monthly meetup for 2013 had been organised at the Ebene Accelerator, Orange Tower, Ebene. Already the pre-registration or commonly known the RSVPs look very promising. At least 17 craftsmen were expected to show up. And... it was better than that. We cracked down the 20-people mark and had a total of 23 craftsmen (and -women) in the conference room(s) at the Ebene Accelerator, again a good number of 'first-timers'. It is really great to receive this feedback. It's like fuel to your own actions and it drives me to push our community further and further. I already put a short summary of our activities and achievements in 2013 in this article "How's Mauritius Software Craftsmanship Community going?" As stated, there have been a good number of newbies at the recent meetings and once again I explained the importance of 'proper' registration on our official community website on meetup.com. First of all, it's always nice to have a kind of a Yellow Pages about the Who's who in our group but most important for me... The number of actively registered craftsmen - 70 as of writing this article - is of great value towards other companies, institutions and governmental bodies. 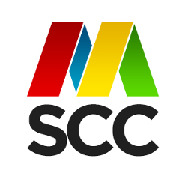 We, as the members of the MSCC, represent a community of like-minded people in the IT world of Mauritius. Which means that we are able to facilitate information and channel activities with a certain background and content. Compared to a simple 'Like' or a 'Plus' on a social media network our craftsmen willingly joined this community and provide some information about themselves, too. Despite the DRY principle: If you are not registered yet, please join the MSCC community (for free) and support our work by your presence. Thanks! How was Infotech and Linuxfest 2013? Even though I gave two presentations at the Infotech 2013 and the Linuxfest 2013 I had to rush off for a business trip to Europe. So, I asked Ish to give us a brief status update and feedback about the events that happened during and after both acts. One of the interesting aspects, in my humble opinion, is the fact that we - the MSCC as well as the LUGM - are on the radar of the National Computer Board (NCB). According to Ish they seem to consider our knowledge for upcoming events, and overall that is absolutely awesome. Furthermore, as we a growing community we are collecting more momentum and 'force' to actually move and make things happen. Already last month, Yannick and I went out to requests appointments with local IT companies in order to create awareness about the existence and whereabouts of the MSCC. We are going to continue this during the next couple of weeks and months. More locations in different regions of the island. I spoke about this in earlier meetings already but I would really love to see this happening. At the moment, I have potential locations in Quatre Bornes and at Pierrefonds which would be suitable for one of our monthly meetups. Personally, I would like to be able to organise several meetups in Port Louis, Grand Baie, Flacq and Mahebourg (among others of course). This is based on feedback from our craftsmen. Personally, I like to talk about software concepts and technologies and forming a (or multiple) study groups on various topics would be great. A driving force could be to aim for professional IT certification, like Microsoft exams, ie. Microsoft Certified Software Developer (MSCD), or similar. Interestingly, we already have the necessary literature and eLearning requirements in our hands thanks to Pluralsight and Microsoft Virtual Academy (MVA). That would be a dream come true... Honestly, I'm missing the possibility to learn about new technologies, to get expert tips and tricks on latest software solutions, and having a vital exchange of experience with other IT people. Extremely! Despite a large number of IT companies in the outsourcing sector there is not a single kind of event that would be close to a developer's conference. I mean there are so many opportunities but still absolutely nothing available on this beautiful island. That has to be changed. The MSCC is going to make 'Cyber Island' a reality! Thankfully, I had a good conversation with Mrs Poonum - she's responsible for the Ebene Accelerator - prior to our meetup, and she updated me with some very interesting information about an increasing number of projects and job offers through the accelerator itself. Young startups and entrepreneur are highly advised to get in touch with her to talk about potential work - obviously this seems to be a long-term base. And a little bit selfish... This time I was looking for potential candidates for my own business - IOS Indian Ocean Software Ltd. - in order to be able to keep the deadlines on projects with existing clients and to cover the increasing demand on new projects. I also seized the opportunity to have a quick chat with another craftsman on a short-term freelance cooperation. Let's see whether I'll be able to up-size my team in January or February. My sincere Thank You goes out to our sponsors, namely Pluralsight, IOS Indian Ocean Software Ltd., and (indirectly) Microsoft. Who was/is the responsible developer behind MySQL? What's the name origin of MySQL and MariaDB? When was the MSCC founded? Anyway, we had great fun and finally the grand prize of our 2013 Christmas raffle was selected by 'rando.py' in the third attempt. Neither Ish nor Pritvi were eager to go ahead with an Office 365 license. And finally we had a female MSCC member to receive the prize. Congratulations! "Despite a little bit of chaos it was a relaxed and funny meetup today." - Yes, indeed it was a bit chaotic with several independent conversations going on, having a great discussion on software piracy, patent handling and entrepreneurship. An IT community in Mauritius is possible - and we are living it! Thank you so much, dear craftsmen. Crisp and brief instructions about how to use a Samsung Galaxy Gio (GT-S5660) as tethering hot-spot in your vehicle. This provides internet access to WiFi-only devices while being on the road. This session at the Linuxfest 2013 provides a brief overview of potential solutions and demonstrates quickly how to install and run Windows software on Linux.